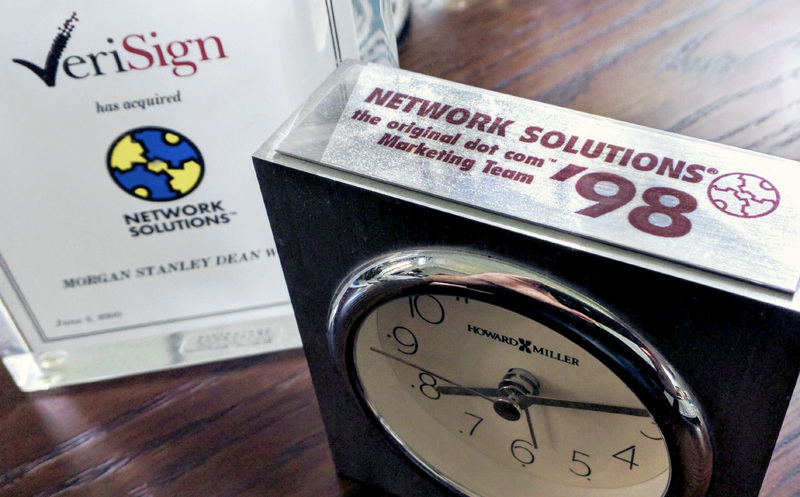 Relative to today's lean operations at many domain registries and registrars, it's hard to believe that back in 1998-2000, with a monopoly position and .com practically selling itself, NSI employed 50+ people on the marketing team pumping out the .com message day and night. Messaging that included how .com could be used with this incredible "killer app" called "email" where you could have an address such as mary@flowers.com instead of marysflowers582@aol.com. Now it seems that some TLDs are at a growth pause or experiencing negative growth, particularly in the cases of some new gTLDs that were heavily promoted in China, or where promo deals were done with greater China area registrars. I don't need to call them out. You know who they are. Today's market and regulatory conditions surrounding the creation and trading of domain names is quite different from market conditions that existed in the past. The China bubble has burst and the free-to-nearly-free domain create promos don't seem to have worked. I'm not immune to this and have learned tough lessons via my personal and business experiences in China over the years. Sometimes the best way to gain traction in a foreign market is to say as little as possible publicly and really learn how the market and culture operate before you press on with operations, marketing and sales. You will not be successful there, as a foreign registry operator, at a minimum, unless you understand that you will likely lose money or barely break even for several years and are prepared to deal with that reality. You must be in it for the long term. Long term, at a minimum, is 5 years of sweating it out (flying back and forth on a nearly monthly basis) before things *might* work out. Over the short to medium term the domain industry is likely to shed inefficient registry, and registrar operators and investors, especially some of those who banked on new domain extensions (new gTLDs) that have no real consumer traction — which are many — and can no longer, or are just unwilling, to fund the basic holding/operating costs, let alone fund any marketing team or person. For sure there is an easily foreseen correction — if not outright registration numbers recession — going on right now for some in the domain industry. Perhaps a short growth pause for .com and some ccTLDs, but their long term outlook to me is strong (same for some generic IDNs) as they do not need explaining to their primary target markets. In case you didn't read the latest Verisign Domain Name Industry Brief, the 294 ccTLDs make up about a 43% share of total global domain registrations, with the top 10 ccTLDs composing nearly 65% of the overall ccTLD count. This has been rather consistent over the last 8 years, nudging from about 40% of the total market in 2009 to today's 43%. By comparison, the roughly 1,224 new gTLDs have only managed to capture about 7.7% of the overall global domain registration total, with the top 10 new gTLDs composing 64% of the total count — and that top 10 list is likely to shift around a bit in the coming months. "… if applicants, the channel, and the industry as a whole do a bang-up job educating, marketing and selling their value props through existing and new channels — essentially hit the ball out of the park — we could see the global market share for new gTLDs in aggregate reach 18% by the end of 2016. I mean they/we/you would have to *kill* it to get to that point. That would be an achievement that means at least three times better performance in 3 years than what the legacy sponsored TLDs have achieved in the past 12 years." It is clear now that the new gTLD industry has not "killed" it. I think some new gTLD portfolio holders and backends are in a position to take advantage of the situation if they can carefully manage expenses for the next two years and don't bet the farm on China. This includes ICANN, that may need to shed some personnel as a result of what may be "The Great Domain Correction of 2017." Last, I'm thinking some domain types that had dollar signs in their eyes just a few short years ago may be now wishing they invested the same funds into bitcoin! Speaking of bitcoin, its status in 2017 reminds me of .com in 1998. It's a relatively new digital asset that sells itself and appears to be enjoying rapid traction in a relatively unregulated "wild west" type of market. The "killer app" seems to be the blockchain and big time household names are paying attention. It doesn't need much of a marketing team, and the general public still doesn't quite understand its future significance. Local Time: Thursday, April 18, 2019 11:57 PM PDT – Page Load: 0.3683 Sec.